Southwest Aviation Specialties, LLC. has a very experienced sales force capable of presenting a variety of products as well as a quality selection of used turbine and piston powered aircraft. A SWAS salesman can produce a computerized cash flow/capital recovery analysis to show all the costs of ownership and operation enabling the customer to decide whether the purchase of a new or used airplane is the best investment. We also make performance comparisons to show which aircraft best satisfies individual mission requirements. If there is a requirement to purchase, lease, charter, or investigate fractional ownership, we have the expertise to be of service. 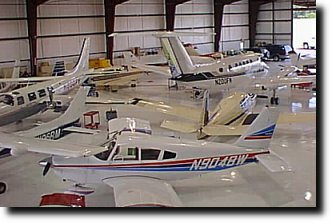 If a used aircraft acquisition appears the most feasible, a pre-purchase inspection organized by our sales staff will insure the best value for the money.